We all know basic toast with ham and cheese. What's the first association when someone mentions Macedonia in a term of food? Of course, peppers and tomatoes. We can't imagine any dish or salad without these two. 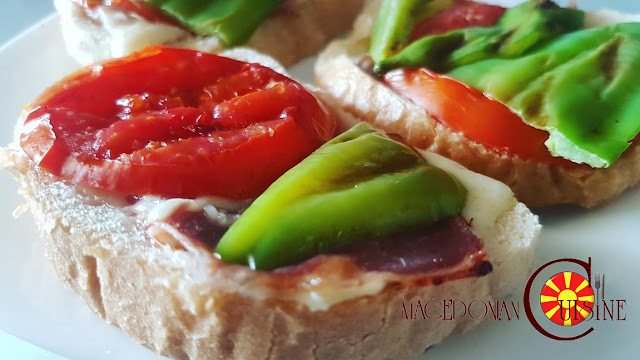 So, I implemented peppers and tomatoes in preparing toast too. 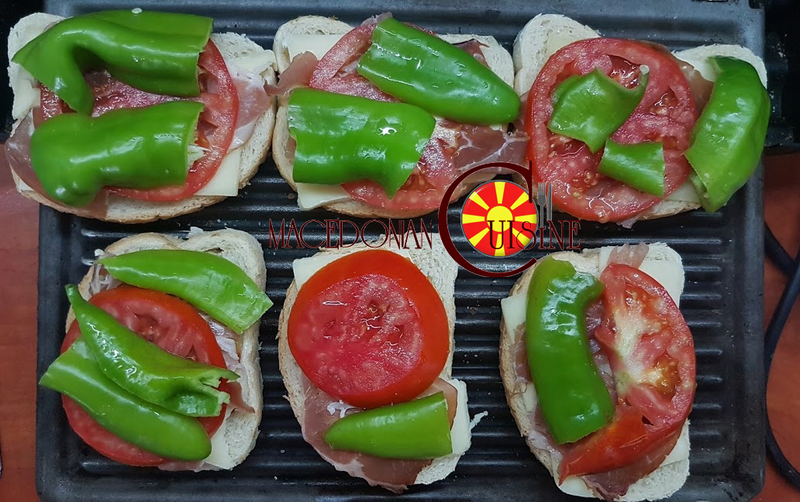 First the bread, then put slice of cheese, then slice of prosciutto, then on top put slices of peppers and tomatoes. Put to bake directly on the toaster and press a little.